This sequence of shots just a little down stream were taken quite late in the day. 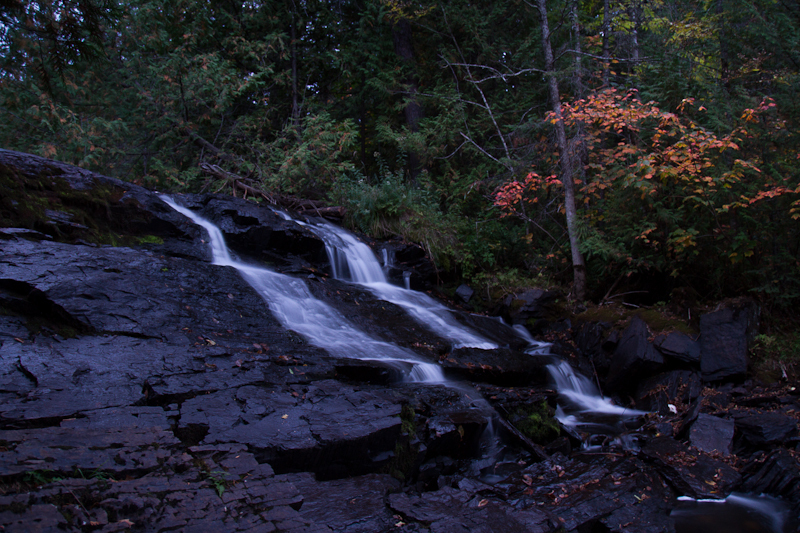 I wanted to take advantage of less light for slower shutter speeds to give me the silky water look. I love how purple the rock in the foreground came out in the shot. 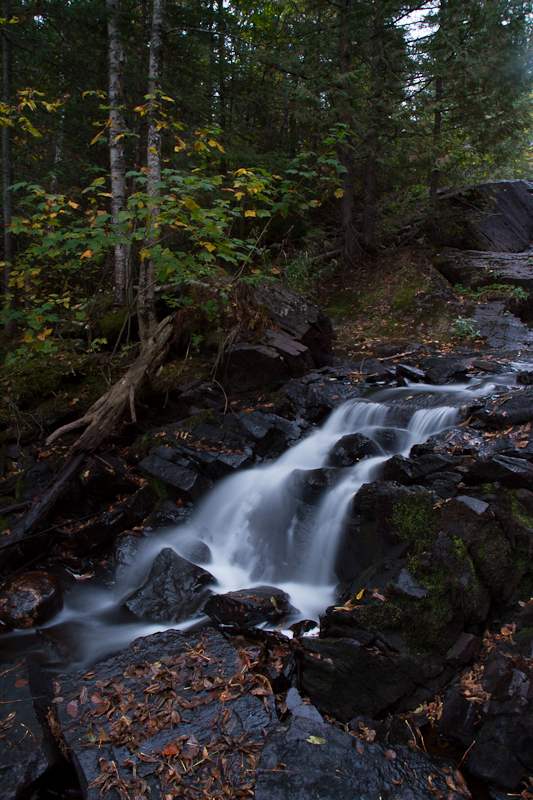 Photo tip: when shooting at or after sunset, be sure to have a flashlight along to find your way home! Love these shots, thanks for sharing your settings, I am going to try to get out this weekend and capture some streams. Don’t forget a flashlight and tripod! Looking forward to seeing what you capture. My question was……..”where is Raleigh falls”? 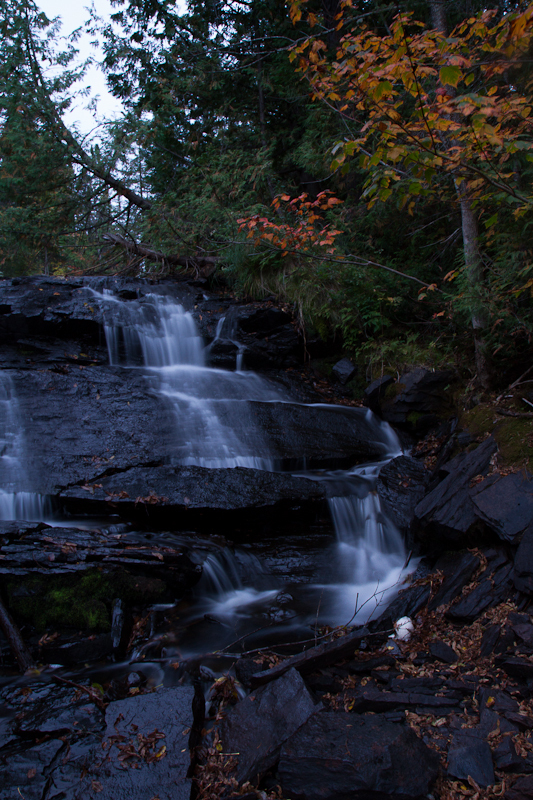 Dave, Raleigh Falls is about 20 minutes drive west of Ignace on Highway 17. It runs north out of Raleigh Lake and under the Highway. There is a beautiful little picnic area there. You’ll be seeing more of this site in future posts. Next time you drive up to see us, you should check it out for yourself. Dee would love it.